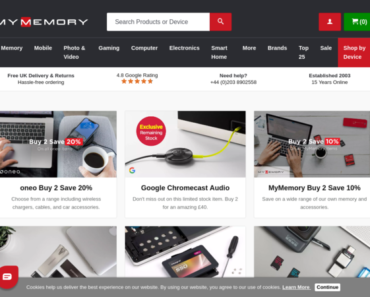 MyMemory.co.uk – 10% off SSD’s. 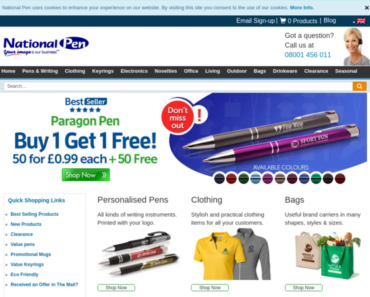 National Pen UK – 8% off Metally Pen, 50 Pens Was: £1.29 each Now: 1.09 each. 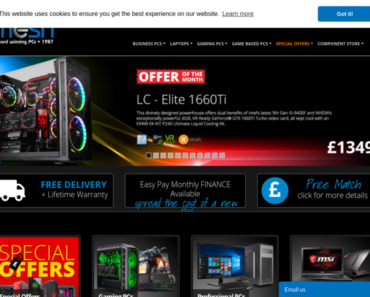 Mesh – Buy a Custom Gaming PC and get Heroes of the Storm for Free. 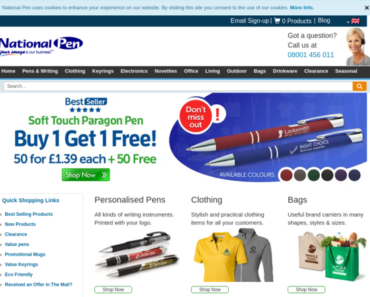 National Pen UK – Rainbow Alpha Soft Touch Pen with Stylus, 50 Pieces Now: £1.39 each + 50% Free. 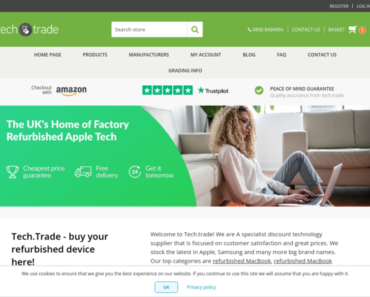 National Pen UK – 10% off any order. 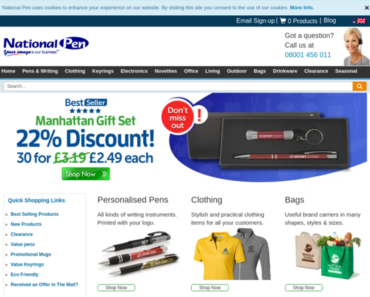 National Pen – 10% off any order. 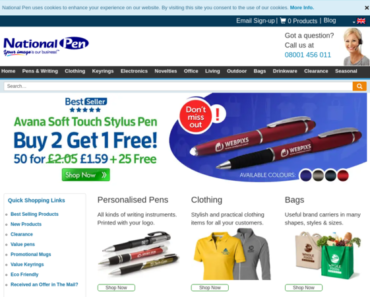 National Pen – Avana Soft Touch Stylus Pen – 50 Pens Was: £2.05 each Now: £1.59 each: Save 22% + 50% Extra Free.